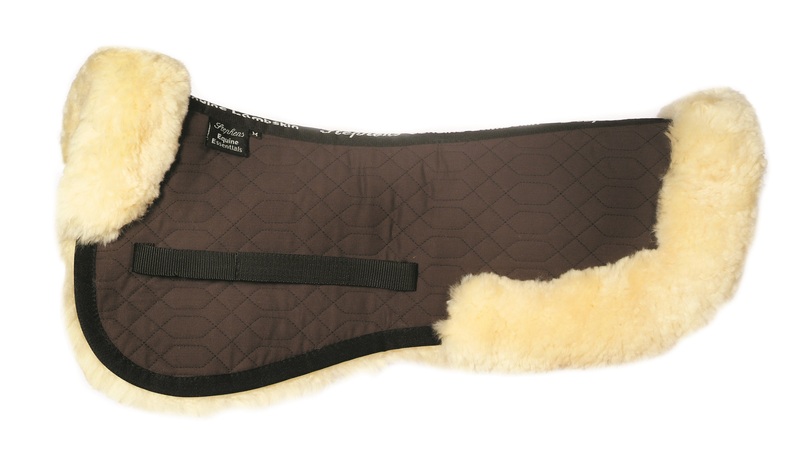 Fully lined with rolled edges – Stephens Sheepskin saddle half pad Combines the therapeutic properties of treated, pure sheepskin fleece with a cotton quilt backing. 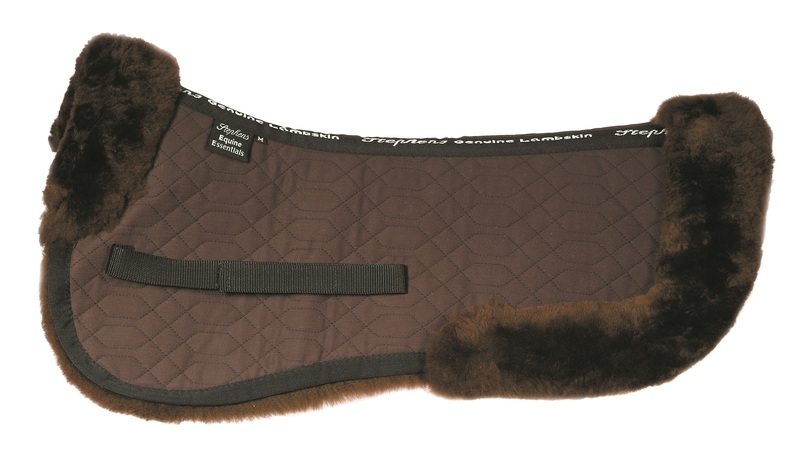 Our most popular sheepskin pad. 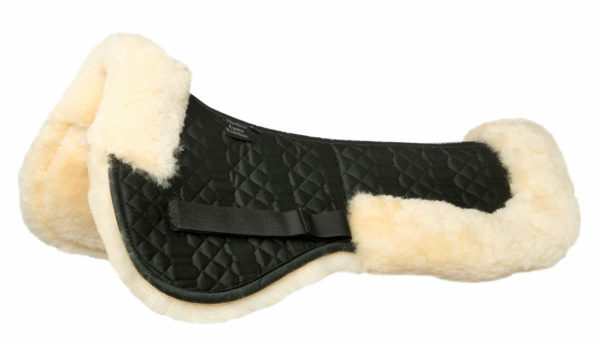 Use between your saddle and a thin saddle cloth for maximum benefit and minimum washing. 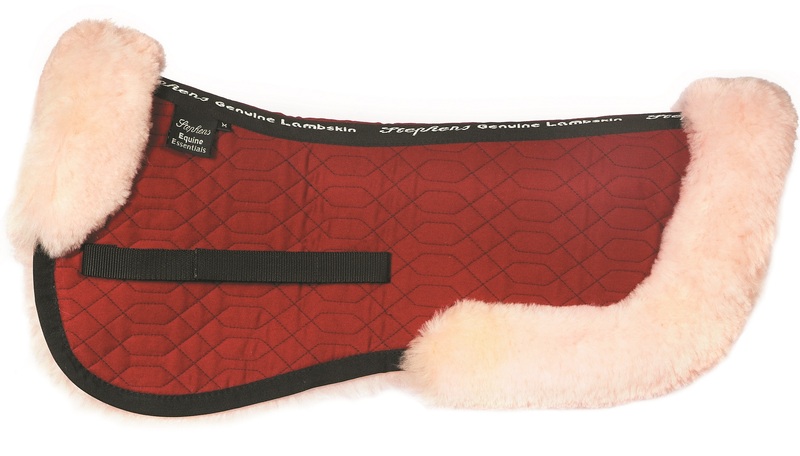 Additionally, can be used directly on the back to keep muscles warm and efficient. Natural sheepskin fleece wicks away sweat, avoiding possible rubs. 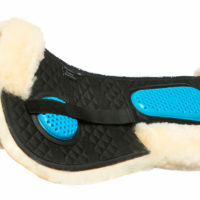 Furthermore, this half pad design keeps you close to your horse – preserving feel whilst helping you both perform.